Leon is a new Legendary Brawler from Supercell, He is one of the cool looking guy in the game. He is one of most loved troops in Brawl Stars.In this article, We will check out Leon's latest Guide, Tips, Strategies & game Modes, Make sure you … [Continue reading] about Leon Brawl Star Complete Guide, Tips, Wiki & Strategies Latest! 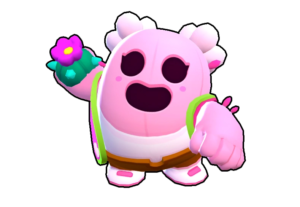 Rico is robotic shooter similar to Barley in Brawl Stars, He holds a gun which resembles a Paintball gun, The Main advantage of him is that his bullets don't get wasted up on obstacles, Instead, it gets bounced up from the ball, … [Continue reading] about Rico Brawl Star Complete Guide, Tips, Wiki & Strategies Latest! Experience (XP) - Every game has a special kind of item to determine the level of a Player, In Brawl Stars XP is used as usual as any other games.Experiences are gained after a battle. When you lose a Battle, You will lose trophies, But … [Continue reading] about Experience Brawl Stars – Tips to Level up Very Fast!